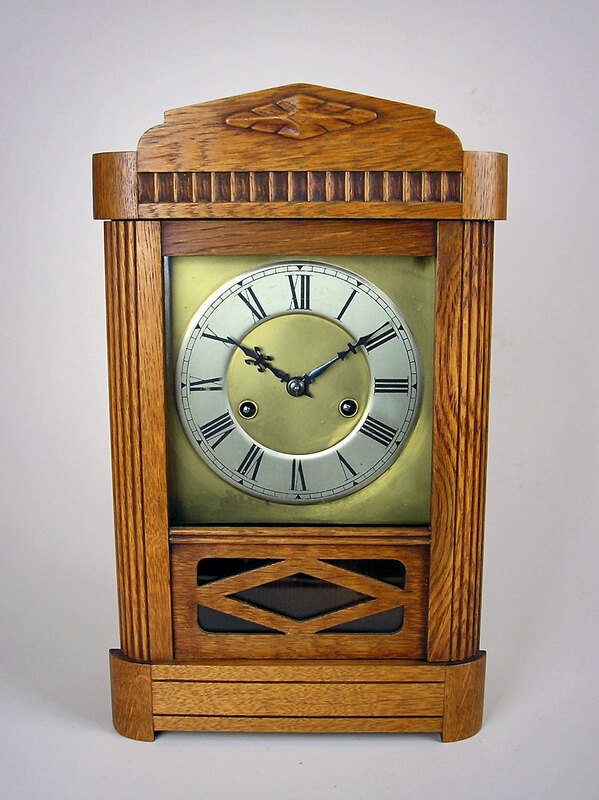 Mantel clock by Hamburg American Clock Co. 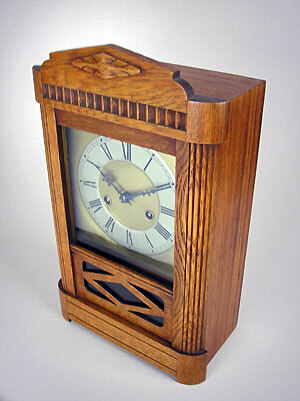 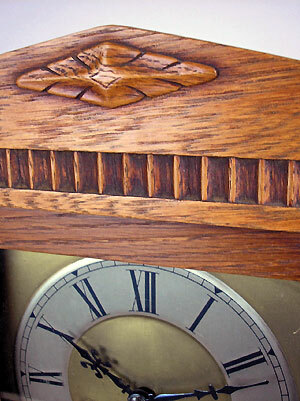 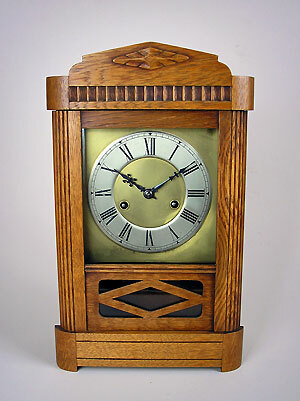 This is an oak-cased mantel clock by HAC (Hamburg American Clock Company). 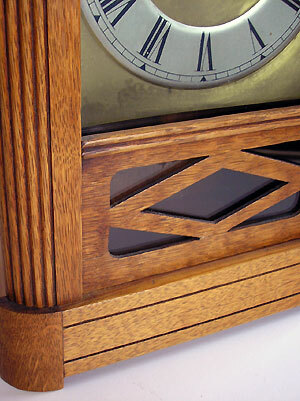 The clock strikes the half and full hours on a gong and the square Arabic dial has spade hands.